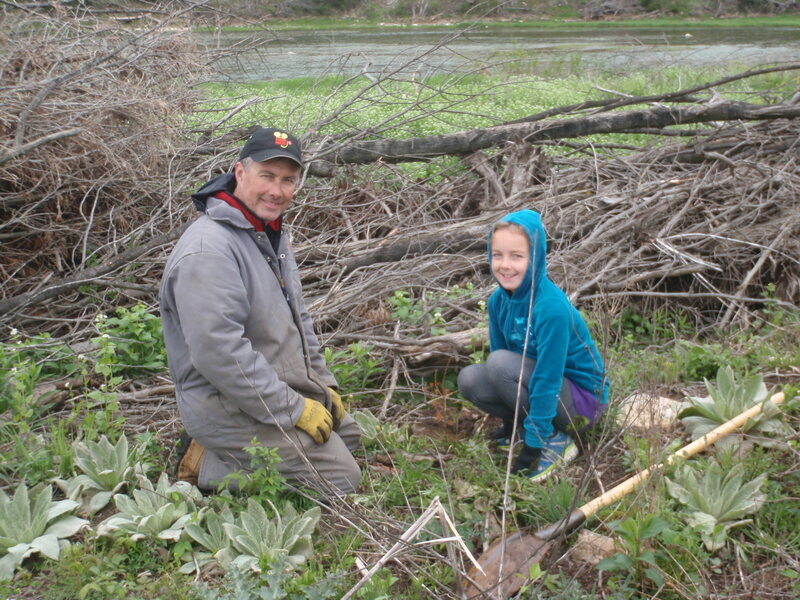 May 2013: Thank you to everyone who made our spring tree planting day a great success! With the help of about 25 hard-working volunteers, 1300 trees were planted in a tornado-damaged woodlot at Benmiller to complement the large trees that were planted there last fall. We were fortunate to avoid any rain, and there was a beautiful breeze that kept the black flies away. 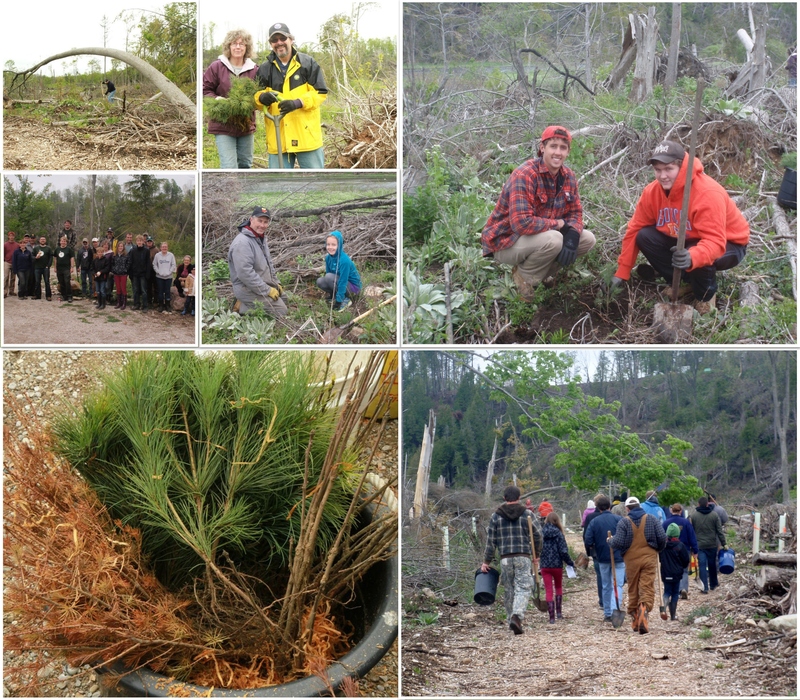 May 11th was a significant day for the Trees Beyond Goderich project, since it was the anniversary of our first planting day. Next time you’re in the Benmiller area, take a slow drive over the Benmiller Bridge to get a good glimpse of how this woodlot next to the Maitland River is regenerating. You may notice the tree tubes or little white dryer sheets attached to the small trees – these are to keep the deer from browsing on the new shoots. Planting trees at this site will help prevent soil from being washed into the Maitland on a heavy rain, improving water quality, and enhancing biodiversity on the landscape. This project was made possible through the generous support of the County of Huron, the Edge Renewal Fund, and Trees Ontario (Forest Recovery Program).